DumaTau is in the Linyanti Wildlife Reserve on the western boundary of Chobe National Park. This luxury tented camp is positioned close to the source of the Savute Channel on one of the many lagoons within the Linyanti Swamp system. 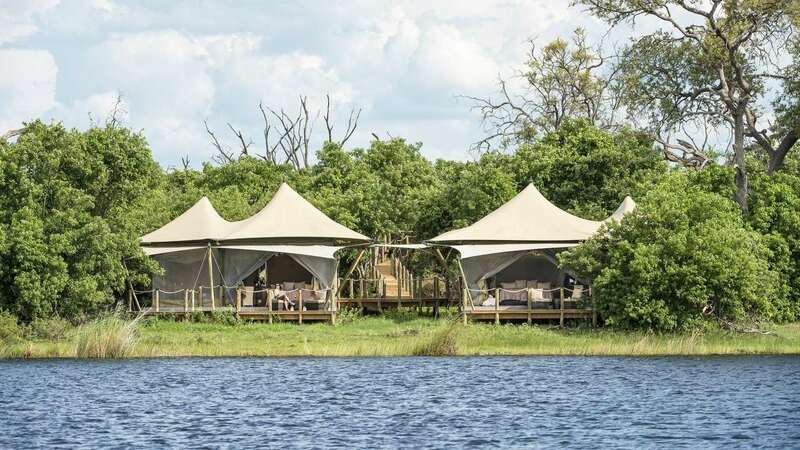 The main camp area is raised off the ground overlooking a large hippo-filled lagoon with a lounge, pub and dining area shaded by thatch and mangosteen trees - wide decking leads off to a secluded pool and a shaded swinging day bed by the river. There are ten spacious tented rooms, each with full height gauze windows providing plenty of natural light and allowing cooling breezes. Each tent has an outside deck with loungers. As a predominately land based camp, activities include game drives, bush walks, hides and motorboat excursions (water level dependent).